Sara Josephine Baker was a strong girl who loved adventure. Growing up in New York in the late 1800s was not easy. When she lost her brother and father to typhoid fever, she became determined to pursue her dream of becoming a doctor. In Jo's day, medical schools were closed to women, but times were changing, and Jo was at the forefront. When she graduated in 1898, Dr. Jo still faced prejudice against women in her field. Not many people were willing to be seen by a female doctor, and Dr. Jo's waiting room remained mostly empty. She accepted a job in public health and was sent to Hell's Kitchen, one of New York's poorest neighborhoods where many immigrants lived. There, she was able to treat the most vulnerable patients: babies and children. She realized that the best treatment was to help babies get a stronger start in life. Babies need fresh air, clean and safe environments, and proper food. 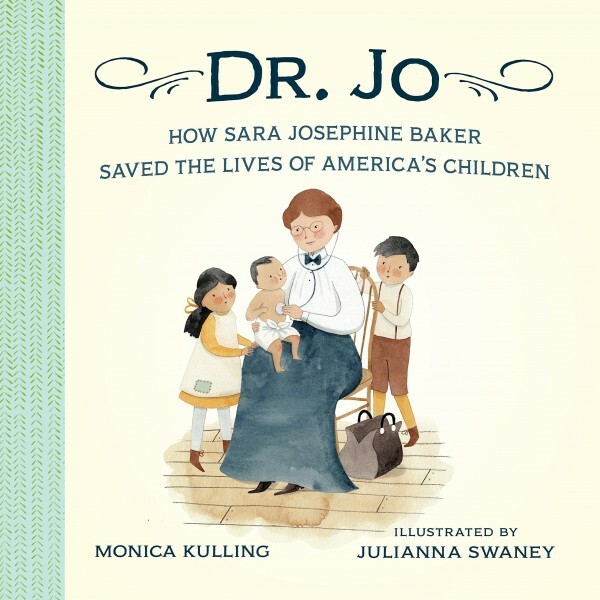 Dr. Jo's successes, fueled by her determination, compassion and ingenuity, made her famous across the nation for saving the lives of 90,000 inner city infants and children.